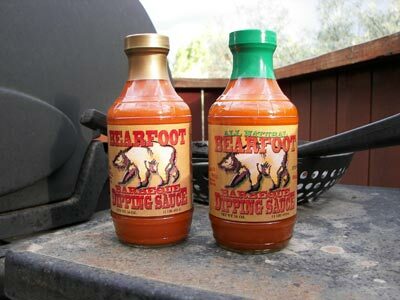 Born out of the foothills of Bear Creek on Colorado’s Front Range, Bearfoot Dipping Sauce is a masterful blend of spices cooked to perfection. Served warm at the table, Bearfoot is pretty darn good on bear and delicious on everything you dip. Bearfoot enhances the flavor of any meat including seafood and wild game. Excite vegetables and sandwiches with the sweet, zesty flavor. Your options are endless when you have Bearfoot Dipping Sauce on your table. It's pretty good stuff - once you start, it's hard to stop! 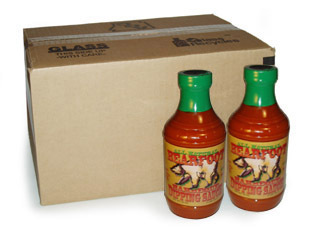 TO ORDER, send an E-mail with your name/shipping address and your order. We will respond to your email with payment instructions.